Mineral Blush - Sugar & Spice (satin finish 6g £10.00) is an apricot shade that for me works well with a my skin tone and deeper. It doesn't stand out on the skin in a garish way. I actually found that it could work well as a light bronzer for me. 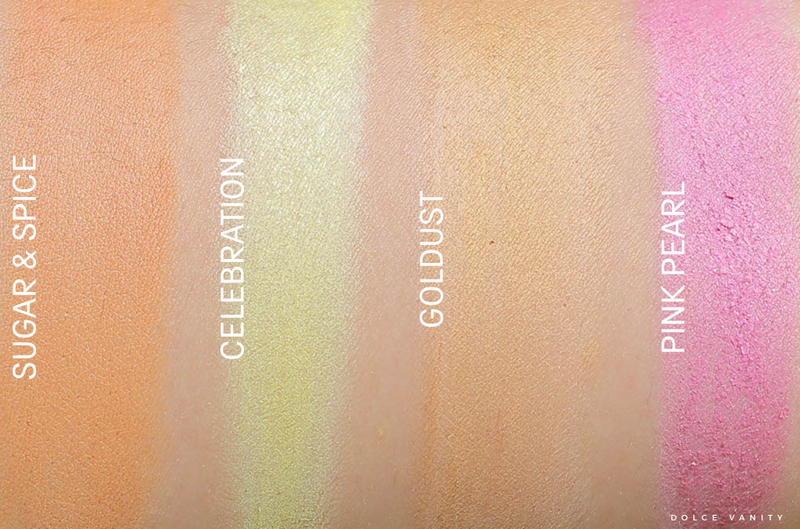 Mineral Eyeshadow Celebration & Goldust (soft velvet finish 2g £11.00 each) Celebration, a chartreuse shade, I didn't think I'd like it but it's a interesting colour that has a nice sheen to it Goldust, especially on darker skin tones, it just pops out, it gleams & looks rich. It's a beautiful shade, on me I was a little disappointed. Pink Pearl (glitter finish 2g £11.00) probably the one I was least happy about. It's quite sheer and I'm not fond of these colours being sheer, I like them to be very pigmented and bright. Mineral Brow - Mocha & Rustic (1g £5.60 each) I don't really use powder to do my brows anymore, I haven't for a few years but I think they make good eyeliners to smudge along the lash line for a softer look. I especially like doing that when I do my eyes with a lot of orange & reds, think Urban Decay Heat palette. 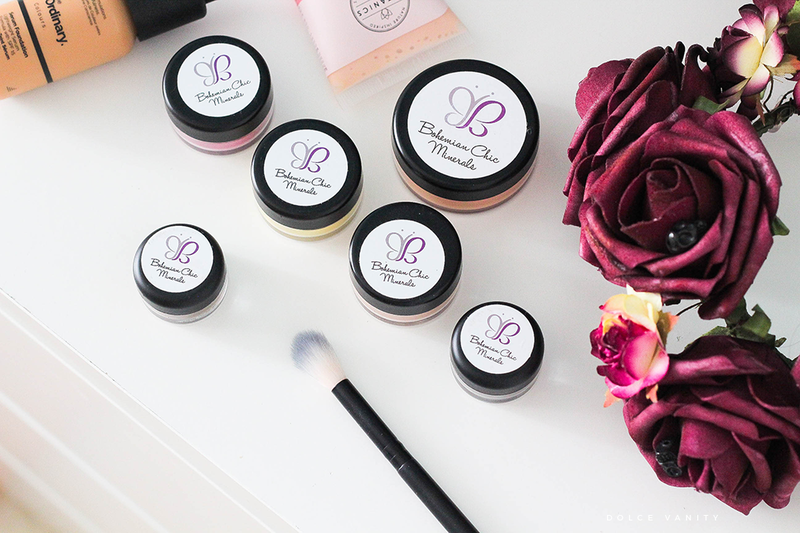 Have you used mineral makeup? I have only used a mineral foundation before, but would love to try these shadows. I've never tried mineral make up but these colours are gorgeous. I haven't used mineral make up before to my knowledge. I like the golddust shade here though!